Win a share of €50,000 in prizes! Do you want adventure? Step this way, as a Bora Bora Adventure is waiting at bitStarz. When you step foot on this sunshine-soaked journey you are going to be able to get your hands on some of the biggest prizes around. €50,000 individual prize pools, iPhones, Amazon vouchers, and even a luxury trip for two to Bora Bora is all up for grabs. Simply wager on any games in the casino to see your progress bar filling up and increasing rewards added to your account for every level. Are you ready for a ultra-long race in 40 stages that could take you to the exotic island of Bora Bora? 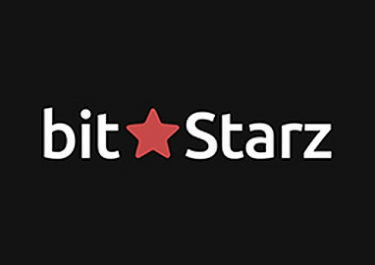 Then start spinning with cash bets on your favorite games at bitStarz and progress through each stage to collect a reward and get closer to that coveted finish line. All games at bitStarz are eligible, however, they contribute at varying levels to the progress. Table games contribute 5% towards the turnover for the promo, while all slot games contribute 100%. Minimum risk wagering on table games will not count towards your tunover (including, but not limited to, betting on both red and black at the same time, etc). If this practice will be discovered, the player will be banned from the promo. At completion of each stage, players will be rewarded with a prize that could be Free Spins or a Bonus. 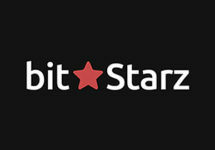 All prizes carry a 10x wagering requirement, subject to the bitStarz bonus terms and conditions. The player, who completes first stage 40 will win the Bora Bora package including flights for 2, six nights premium hotel accommodation and adventure activities. The prize can be exchanged for cash at the value of the package and at the discretion of bitStarz. The winning player is responsible for acquiring travel visas to enter Bora Bora. Terms and conditions apply. Launched in 2014, the casino is owned and operated by Direx N.V. under a Curacao license. On offer are on desktop, mobile and tablet games from Netent, Amatic, Belatra, Betsoft, BGAMING, Booming Games, EGT, Endorphina, Foxium, GameArt, Habanero, iSoftbet, JustForTheWin, Microgaming, NextGen Gaming, Play’n GO, Pragmatic Play, SoftSwiss, Spinomenal, Thunderkick and Yggdrasil. Their Live Casino tables are powered by Asia Gaming and Evolution Gaming.